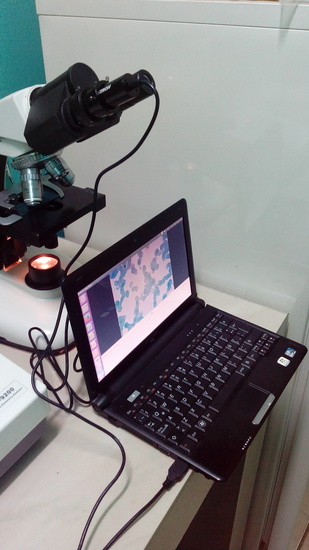 First we will define the concept of a microscopic imager and how we can use it. 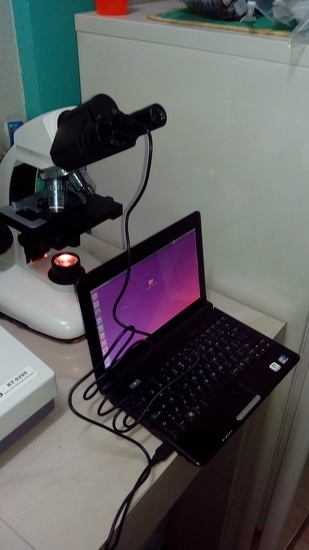 A Digital Microscope Camera Imager is used to take pictures from an analog microscope and play on our computers, whether laptops or desktops. These cameras are adapted to the main lens receptacle of the microscope either monocular or binocular. The primary intent of using a device of this type is to facilitate image viewing and user comfort to play back images on their computer, manipulate and save the images. Also to show, in real time, small groups or audiences, as the behavior of microscopic images, or in any case such as microorganisms displayed. The camera treated in this tutorial is a Celestron®, model 44421, monocular, to be installed in a microscope Globe ®, type of binoculars. This camera comes with a universal adapter for the lens holder and a USB 2.0 connector. 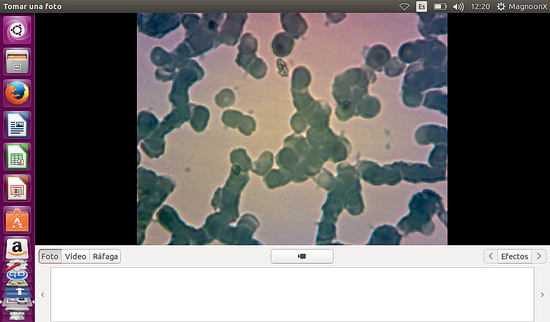 The camera will be installed on a Netbook Lenovo, model S10-3C, running Linux Ubuntu 15.04. Needless to say, this device does not offer manufacturer support of any Linux version, which is the reason for this tutorial. 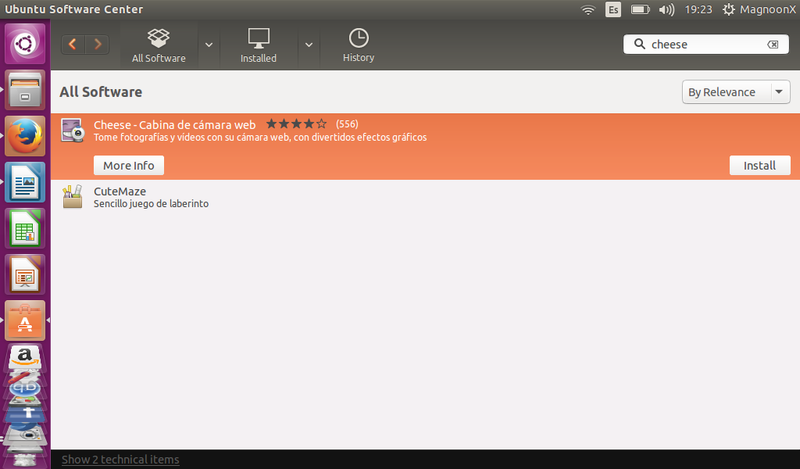 The first thing we do is install playback software supporting images and videos from the camera running Ubuntu 15.04. 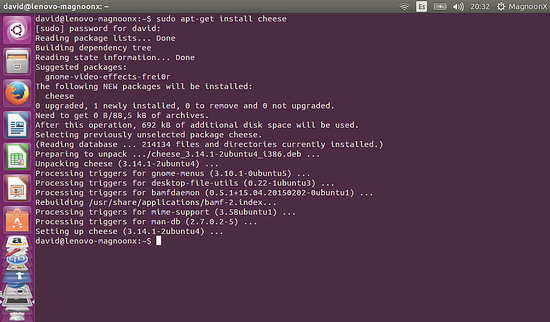 The available software of choice for such applications is Cheese, both in Ubuntu Software Center 15.04 and through command Terminal. Step 1. Open the Software Center which is located on the left Desk bar. Step 2. Once the Software Center is open, proceed to type the name of the software used, in this case, Cheese. Step 3. 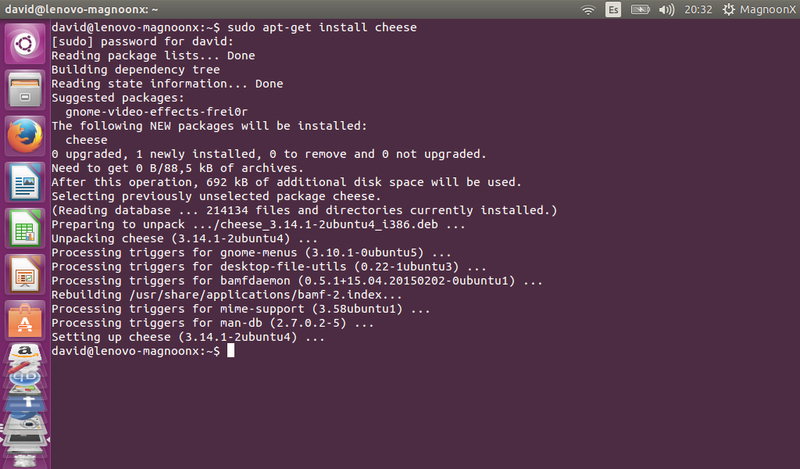 Click on the corresponding icon to display Cheese, either for more info, or simply the Install button. Step 4. 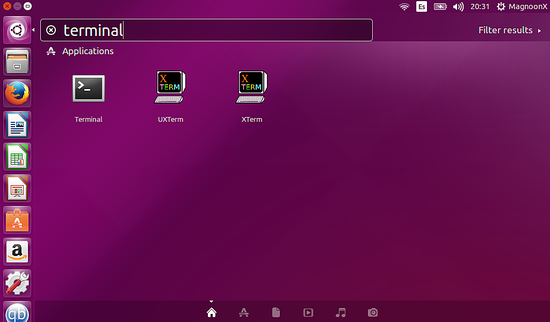 Once the software is installed, it is displayed in the left bar as an icon. Step 5. Connect the camera to an available USB port and then insert the camera into one of the binoculars. Step 6. Run the Cheese software. Note: The camera must be connected to the USB port before running the software. Step 1. 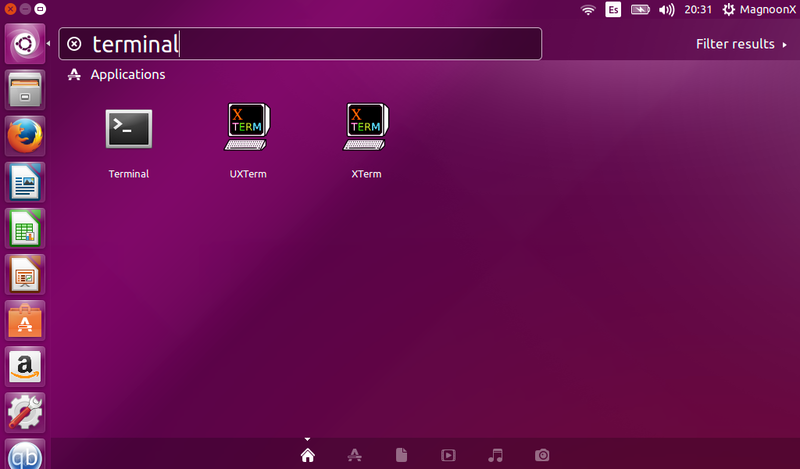 Search and Open the command Terminal button on the top of the left desk bar. and wait until the package is downloaded and installed. Step 3. From here repeat steps 5 and 6 from the above procedure. There´s no additional configuration or installation for running our images or videos from our Digital Microscope Camera. thnx. Works good. Connected chinesse microscope. Thanks! This was of tremendous help. I know the existence of cheese but never guessed that it would work with this nameless brand out of box. I kept on searching for drivers and stumbled on your site. It worked with a 10 euros digital Chinese microscope under Manjaro Linux (Arch).